For years my Nan traveled from London to NYC and I’ve always wanted to visit. After finding an affordable flight from Virgin Atlantic, I just had 4 days in London to explore before heading to Paris and Rome. I wanted to do and see as much as I could and my aunt made sure I did just that. For a modern city, there’s so much history shared in London. If you’re visiting London for the first time, here’s a sample London itinerary filled with things to do and see in London in 4 days that can be used for trip planning. The first stops on my 4 day London itinerary were to The City of London and Westminister. If you’re wondering about transportation, the best way to get around London is purchasing an Oyster Card to take public transportation. Traveling during off-peak hours also saves money on fares. Coming from East London, I walked along The River Thames towards the DLR station starting the journey into The City of London and made the first stop at Tower Hill Station. Dating back to the 9th century, The Tower of London is a former prison, palace, and the oldest fortified castle in Europe. Highlights within the Tower of London include viewing the Crown Jewels. The White Tower was built in 1078 as William the Conqueror’s castle and is the oldest part of the structure. Often confused with London Bridge, the Tower Bridge dates back to 1894 and is walking distance from the Tower of London. Visitors can walk or drive across the bridge. The Tower Bridge Exhibition also known as the Twin Towers shares the history of the bridge in addition to seeing some of the best views of The River Thames and London. A post shared by JoAnna E. (@joannaen) on Mar 3, 2018 at 9:06am PST After visiting the Tower of London and Tower Bridge, take the Underground to Westminster. During my trip, we spent the rest of the afternoon and evening visiting the following sites. See the best of London in an afternoon, with a visit to the Tower of London and a city tour including St Paul’s Cathedral. The tour also includes a ticket for a sightseeing cruise from the Tower of London to Westminster Pier, to be used after your tour or another time. Open to the public, Westminister Abbey is the site of the coronation of every British Monarch since William the Conqueror in 1066. It is also well known for the funeral of Princess Diana of Wales and wedding of the Duke and Duchess of Cambridge. Bible readers and scholars know parts of the King James Old and New Testaments were translated here and there are statues of 20 Christian Martyrs, one being Dr. Martin Luther King Jr.
A free thing to do in London, Trafalgar Square commemorates a British Naval Victory during the Napoleonic Wars. It is also a central meeting place for events, protests, sharing art and more. In the center of the square is Nelson’s column with a statue of Lord Nelson a British Naval officer who died in the battle of Trafalgar. A Christmas tree is donated every year by Norway and erected in this area during the holidays. Walk along Whitehall and pass The Cenotaph, The Monument to the Women of World War II, and Horse Guards. You can also walk through St. James Park to head to the Royal Palace. Other parks within the area include Green Park and Hyde Park. The official residence of the British Monarch, Queen Elizabeth II, Buckingham Palace was originally a townhouse for the Duke of Buckingham. It was later renovated and extended throughout the 19th Century. The Royal family uses the palace for hosting official events, State occasions, and ceremonies. A popular attraction is witnessing the Changing of the Guard daily in the summer and every other day in the winter. If you’re traveling to London in the summer, you reserve a tour at Buckingham Palace. Day two in London was spent on a day trip to Greenwich. Greenwich is most famous for GMT where the Eastern and Western Hemispheres meet. Below are some activities and attractions we experienced in Greenwich. Opened in 1902, the foot tunnel connects Greenwich with the Isle of Dogs beneath The River Thames. Starting from The Isle of Dogs, you can see beautiful views of the Old Royal Navy College, The Royal Observatory, and the Greenwich Hospital. Exiting the Greenwich Foot Tunnel on the other side, you will see the clipper ship, Cutty Sark. Built in 1869, Cutty Sark was one of the fastest clipper ships to deliver tea from China and now a docked museum for tourists and locals. Walk through Greenwich Park and head over to the Royal Observatory. Home to Greenwich Mean Time, visitors stand between the Prime Meridian Line separating the East and West. In a hall designed by Sir Christopher Wren and painted by Sir James Thornhill, the Painted Hall is the largest Painted Ceiling in London. After a brief overview of the building’s history, we walked up the scaffolding to get better views of the ceilings. The last stop of our day trip to Greenwich was visiting Greenwich Market. Since 1737 Greenwich Market has offered food, arts, crafts, clothing, and gifts for locals and tourists from all over. Since Kensington Palace was the furthest site I wanted to visit, towards my last full day we took the Bus and Underground to Kensington and walked through Kensington Gardens towards Kensington Palace. Another Royal Residence, Kensington Palace was the birthplace of Queen Victoria. It was also home to Diana, Princess of Wales after her divorce. Several staterooms of the palace are open to visitors including the Royal Ceremonial Dress Collection with dresses dating from the 18th century to the present day. For a wealth of information of over 8 million works, you can visit the British Museum. You can spend the full 4 days in London and not scratch the surface so I suggest mapping out exhibits before visiting. One of the last stops touring London was St. Paul’s Cathedral. Another design of Sir Christopher Wren, St. Paul’s is the location of notable events such as Churchill’s funeral and Charles and Diana’s wedding. No matter the length of time, your 4 day London Itinerary can also take place outside of London. Well-known tours provide day trips to Stonehenge, Windsor Castle, and Bath. I tried to pack everything there is to do in London in 4 days, but it wasn’t possible. Here are a mix of other popular sites and things to do in London. I’ll definitely be visiting on my next trip. Enjoy London for less with the ultimate Attraction Combo Ticket. Experience 3 of London’s top attractions, including the Coca-Cola London Eye , SEA LIFE London Aquarium and Madame Tussauds London for an amazing price! Spread your visits across 90 days, visit all 4 in one week or even in 1 day. The choice is yours with this flexible ticket. Before traveling, I was told London weather in March (and most of the year) is usually cloudy and/or rainy. Clearly, I chose the best weekend to go because the weather was a mix of snow, rain, and sun. The weather in London wasn’t the best, but I came prepared with rain boots and extra layers of clothing when packing for my Euro-trip. From East to West, I spent 4 days in London traveling via car, foot, bus, and metro. I had my aunt and uncle to take me around so I was never lost, but you can read tips on getting around London, using the Heathrow airport lounge, and click here to save up to 40% off tours and activities before your stay. Is visiting London on your bucket list? You fit SOOO much into your itinerary!! I’m going back to London in June thanks to your inspiration! Definitely going to try out some of these spots I didn’t previously get to! Praying for a nice sunny days! Great itinerary tips! London sounds like such an amazing place! I’ve always wanted to visit and explore the rich history there. This is a great itinerary! Thanks for the tips! London is definitely on my list. Wow, look at you! London looks pretty cool. I bet it buzzing with people right about now. London is definitely on my bucket list!! I love any and everything British so London obviously is the place to go. There are also many bloggers that live in London I want to visit one day. Thank you for sharing parts of London that we don’t always hear about. I love the pictures and the history behind these locations you provided. This is awesome. I was actually just talking with my brother about planning a big family vacation to London in the next 2 years. Bookmarking this! I haven’t been to London since I was 10 years old. Definitely need to get back there. I love the old world style of London. London is on my travel bucket list. All I have to do is get take my first ride on a plane. I want to experience the fish and chips. Thanks for this! I still have not been to London, but this gives the roadmap of all the right landmarks! I would definitely love to go to London! This guide is amazing! When I think of visiting London there is so much to see but I think you nailed down the best sites and landmarks! You mentioned many of the places I’d love to go to in London.I hear that London’s fog is pretty thick. What season would you recommend going in? When my grandmother was alive she said early September is good because you miss the summer crowds and still have decent weather. Yes, the fog is bananas. I still kick myself that we didn’t go to London when we were in Paris. Now, it’s still on my bucket list. I’ve been wanting to visit London for ages. Thank you for this informative post. 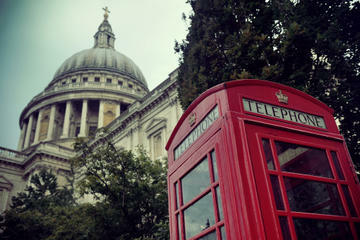 I want to go to London really soon. Thank you for sharing, bookmarking for later.